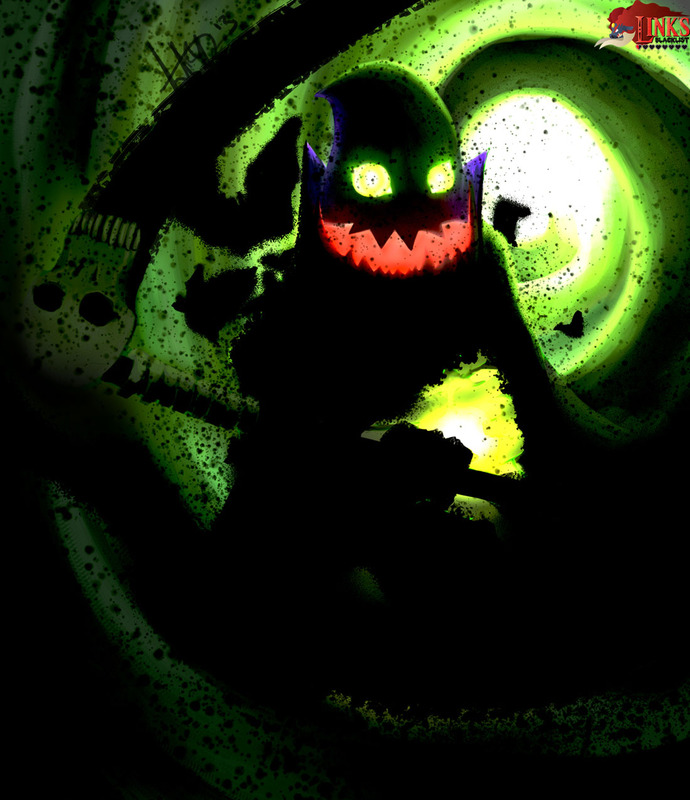 The Gomess is a Mini Boss from the Legend of Zelda: Majora’s Mask. Link has to battle it in the Stone Tower Dungeon where it is guarding the boss key. Many Minibosses in Zelda games are quite easy to beat, but Gomess is for sure one of the more difficult ones and a real master of the scythe. And beside being good with that weapon, its also surrounded by a cloud of bats which are defending him often. 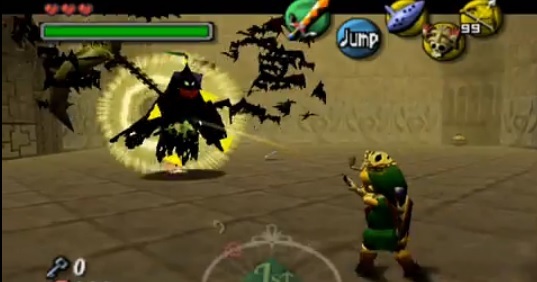 Link needs to use bombs or light arrows to defeat the bats first before he can even hurt Gomess.